October 1, 2010 - Northrop Grumman Corporation's Norway based air traffic management subsidiary, Northrop Grumman Park Air Systems, has been awarded a substantial contract by the Air Navigation Services of the Czech Republic (ANS CR) to supply and install an electronic flight strip (EFS) system for the control tower at Prague Ruzyne International Airport. The EFS system automates the production, distribution and administrative management of flight plan information and other air traffic control data and replaces the paper strip systems previously used by air traffic controllers. The EFS can also provide data integrity checking and ease the working environment of air traffic controllers and paves the way for the application of advanced features such as Controller Pilot Data Link Communications (CPDLC). "ANS CR is very pleased with the many years of cooperation with Park Air Systems," said Jan Kubicek, ANS CR's program manager for A-SMGCS. "Now we look forward to putting the NOVA 9000 EFS system it into operational use at our airport." Northrop Grumman Park Air Systems' offering to ANS CR is based on the joint research carried out by the two organizations. This demonstrated that fully integrating the advanced-surface movement guidance and control system (A-SMGCS) with the EFS system, reduced controller work load and increased efficiency and traffic throughput while maintaining the established safety level. "We have been a key supplier to ANS CR for many years. In addition to air traffic control communication equipment we have also delivered surface movement radar (SMR), advanced surface movement guidance and control systems (A-SMGCS) and simulator equipment for Prague airport," said Eldar Hauge, managing director of Northrop Grumman Park Air Systems in Norway. "We look forward to continuing our close working relationship with ANS CR." 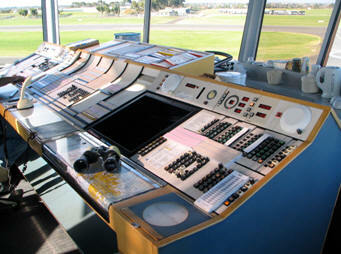 With a 50-year legacy in air traffic management systems ranging from individual airport installations to countrywide, multiple-site turnkey integrated system solutions, Northrop Grumman's air traffic management systems are operationally controlling air traffic in numerous countries around the world including recent major programs in Norway, Brazil, Qatar, Oman, Canada, India, Poland, UAE, USA and the UK, in both civil and military applications.